Your teeth are surrounded by a “turtle neck collar” of gum tissue. We use a small ruler to measure around this gum tissue. This allows us to determine the overall health of your gums, check for bone loss, and other signs of gum disease. If it has been a long time since your last dental cleaning, a more advanced cleaning may be recommended for you. This is due to a build up of calcified deposits. 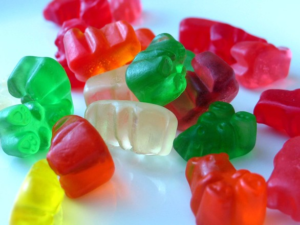 In some cases, this will be enough to bring your gums back to optimal health and prevent the spread of gingivitis. Over time, as periodontitis progesses, it can lead to inflammation, receding gums, and receding bone tissue. 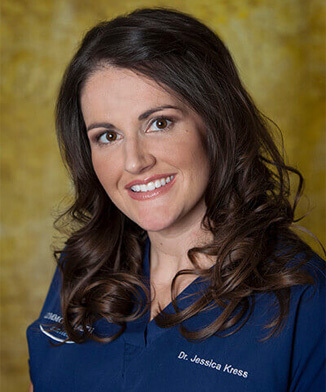 Dr. Kress or Danielle may recommend a procedure for you called scaling and root planing. This procedure removes calcified deposits and bacteria below your gumline. With removal of these deposits and bacteria we can help you maintain and rehabilitate your gum tissue. Gum and bone disease, known as periodontal disease, is responsible for bone loss around teeth. Symptoms include bleeding gums, bad breath, and swollen gums that are red in appearance. Many adults are not even aware that they have this disease, which can over time cause irreversible bone loss or tooth loss. At our Lexington KY dental office, we screen every patient for signs of periodontal disease and assess your current risk. Periodontal disease means disease around the tooth, referring to the supporting bone and gum tissues. Sometimes periodontal defects manifest as “pockets” in the space between the tooth and gum. The larger the pocket, the larger the infection, and the greater the risk. Treatment of periodontal pockets with a deep cleaning therapy called scaling and root planing (SRP) cleans and eliminates bacteria in areas that would be impossible to clean otherwise. This treatment is vital to slow the infected tissue from progressing to full bone and tooth loss. Gum disease is also associated with other health issues such as heart attack, diabetes, stroke, and premature babies. We recommend that all patients with a history or family history of cardiovascular disease, stroke, or diabetes, as well as pregnant women, receive a thorough periodontal examination. Gum disease is both preventable and treatable. Check-ups and x-rays at regular intervals are your best bet to maintain good periodontal health.